Controversial plans to transfer millions of tonnes of crude oil between tankers at the mouth of the Cromarty Firth – allegedly threatening dolphins and other marine life – have been scrapped. The constituency MSP for the Black Isle praised the resilience of the Cromarty community after years of campaigning resulted in a neighbouring port authority abandoning plans for at-sea ship to ship oil transfers in the Moray Firth. Despite being a coastal village with a population of just 700, well over 100,000 people signed an online petition organised by the Cromarty Rising campaigners concerned about the environmental risks if an oil spill were to occur. 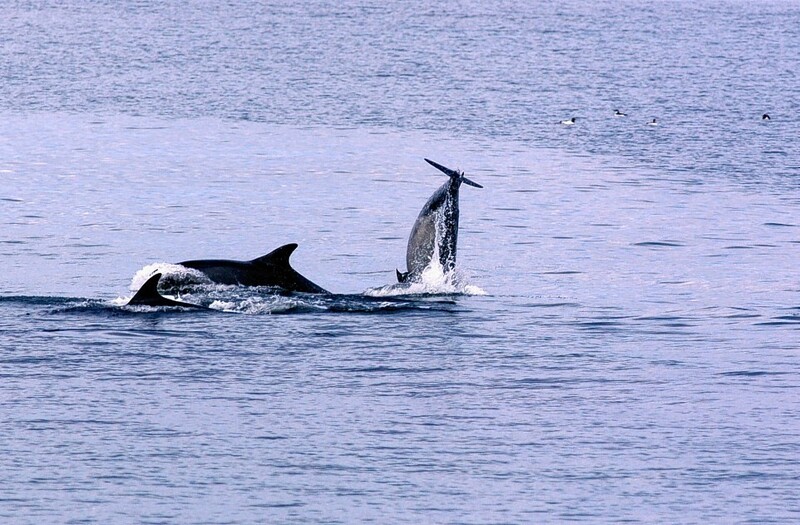 The Cromarty and Moray Firths are home to bottlenose dolphins, harbour porpoises, mink whales as well as other marine and bird life. The Port of Cromarty Firth’s bid was to shift up to 180,000 tonnes of oil, four times a month, between ships anchored in the dolphin-populated waters near the South and North Sutors. A previous application was withdrawn. Last month it was announced that the quayside is to be expanded at a cost of £30m to accommodate energy projects and the largest cruise ships. Invergordon’s Port of Cromarty Firth said the project to be completed in 2020 would create more than 140 jobs, 25 of them at the site. It will be the second quayside and laydown area to be built at the port in three years. Pressure group Cromarty Rising earlier this year lodged a complaint with the European Commission about the Port of Cromarty Firth’s oil transfer licence application. Concern over the plans has also been expressed by the General Assembly of the Church of Scotland.